A rogue broker is one who has a long and checkered history of misconduct, complaints, or terminations. By checking the wonderful resource, BrokerCheck, made available to investors by FINRA, the industry regulatory body, diligent investors can see every registered brokers professional background online. FINRA’s CRD Report give the entire history of employment as well as any disputes and terminations the broker may have been involved with. Some brokers have gone so far that FINRA has barred them permanently from practicing as financial professionals. Fortunately for investors, the regulatory body has put together a comprehensive list of barred financial professionals online. The list is available here. All one has to do is look for the broker’s name and see if they’re on the list. In effect, this is a registry of “bad brokers” whom investors should scrupulously avoid. There are numerous ways to protect yourself from financial fraud and broker misconduct. Most of them come down to doing a small amount of research and due diligence into the person who is going to be handling your life-savings. FINRA and the SEC provide significant resources to that end, and we strongly encourage investors to take advantage of them. Not all bad brokers have a history, however. And some investors only find out how bad their broker is when it’s too late. When that happens, you still have the recourse of taking legal action against your financial advisor through FINRA’s arbitration forum. 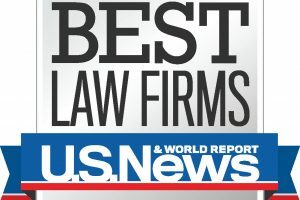 In order to do so, we highly recommend seeking legal counsel from an attorney who has experience with FINRA arbitration and securities litigation.